GIVEAWAY: Share this, Win a Book! 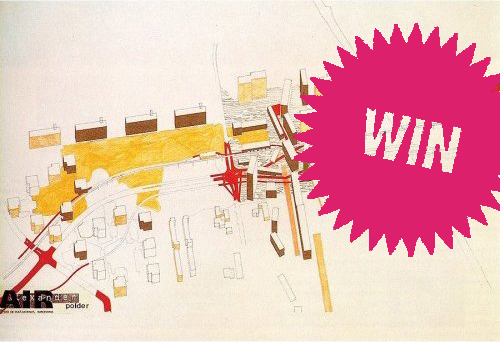 It’s been a while since our last giveaway but we’re still celebrating the launch of our new program–help us get the word out and we’ll thank you with another contemporary jewel of urbanism literature, this time Manuel de Solà Morales’ A Matter of Things (English or Spanish edition). Click through to find out who won! For English and Spanish-speakers alike: Enter to win a copy of this contemporary classic either in its English or Spanish edition. All you have to do is like us on Facebook and follow @MA_Regenerating on Twitter–if you haven’t already–and then share our FB page or this blog post on Facebook, and Retweet it on Twitter. The purpose of all this is to spread the word about our program by sharing our passion for urbanism, so please join in! Thanks and good luck… We’ll announce the winner next Tuesday the 19th of July. — We’ve got a winner! Thanks to Ramiro Aznar for helping us get the word out–And thanks to everyone who participated! 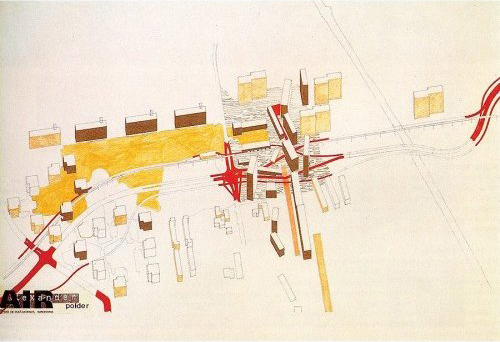 The Spanish architect and urban planner Manuel de Sola-Morales has made successful interventions in urban landscapes from Antwerp to Trieste, Groningen to Porto, and from Barcelona to The Hague. For him a city does not consist of abstractions, but of concrete, tangible buildings and public spaces. By intervening–precisely and with great care–in this physical reality, with projects at the interface of architecture and urban planning, Sola-Morales effects changes in the city that transcend his work’s physical or spatial dimensions. This monograph unites his oeuvre for the first time, documenting it extensively in word and image, with particular attention to larger and more important projects and realizations of his recent years. Alongside texts by Manuel de Sola-Morales himself, it includes a comprehensive essay by Columbia University’s Kenneth Frampton. Para Manuel de Solà-Morales, la lógica abstracta de la ciudad se halla en la materia de las cosas urbanas: la urbanidad está indisolublemente atada a lo concreto. En su trabajo subyace una atención cautelosa a la riqueza latente de los lugares urbanos. Sus propuestas son siempre miradas sobre la ciudad, verdaderas interpretaciones en el límite entre la arquitectura y el urbanismo cuyos efectos trascienden el ámbito físico de su intervención. 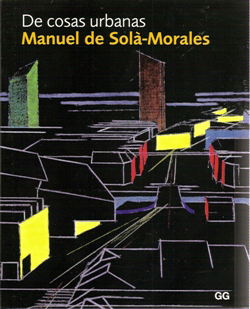 Este libro presenta proyectos urbanos realizados en las dos últimas décadas e incluye una selección de textos del propio Manuel de Solà-Morales, con un prefacio de Kenneth Frampton y un ensayo de Hans Ibelings. The Master in Regenerating Intermediate Landscapes is an English-language masters program taught at the Universitat Internacional de Catalunya (UIC) in Barcelona. It addresses critical issues surrounding suburbia such as the regeneration of urban sprawl and informal settlements, and the preservation of cultural landscapes, based on the care for local identity, environment and social equity. The course counts on the collaboration of esteemed professionals in the areas of architecture and urbanism like Emily Talen and Julia Koschinsky of Arizona State University, Michael Hebbert of the University of Manchester, Antonio Font Arellano of Barcelona’s UPC and Brazilian anthropologist Jacqueline Polvora of the University of Cape Verde. Subscriptions are currently open and classes begin this October. For more info, head over to the homepage and browse through our program!